Before summer is gone and fresh garden tomatoes are unavailable, I wanted to make a batch of this unique Tomato Jam using a vintage recipe from my husbands great-grandmother. 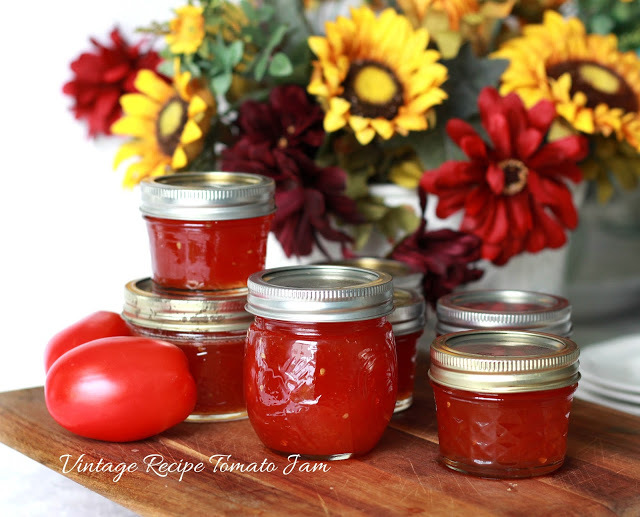 I shared the recipe for Tomato Jam a couple years ago but thought I’d post again because it is a good way to use summer ripe tomatoes and it is delightful to enjoy the bright taste during winters sometimes dreary days. Great-Grandmom Gaskill raised six children and kept a garden to help fill the tummies of her large family. Canning summers bounty was just one way she provided wonderful meals on a stretched budget. We like to serve it with crackers and cheese and it makes a nice addition to a cheese board. Wash ripened tomatoes (do not use cherry tomatoes) cut out stalks. Drop into Boiling water 1 minute; remove skins and discard them. Squeeze out some of the juice and seeds (discard or save for something else) Chop tomatoes into pieces or use processor for a few seconds. Put Tomatoes into large pot. Boil for 15 minutes to reduce liquids Add sugar in the amount equal to the tomatoes; stir and blend. Bring Mixture to a full boil. Stir frequently, until it thickens about 1/2 hr. Just before taking jam off heat add lemon or lime juice. This keeps the sugar from separating from the fruit later on. If you like the taste of cinnamon, add a dash at the same time as the lemon juice. stir in. Carefully remove hot jars and set to cool on folded kitchen towels. Click Grandmom Gaskill’s Tomato Jam to go to my post with canning how-to photos. 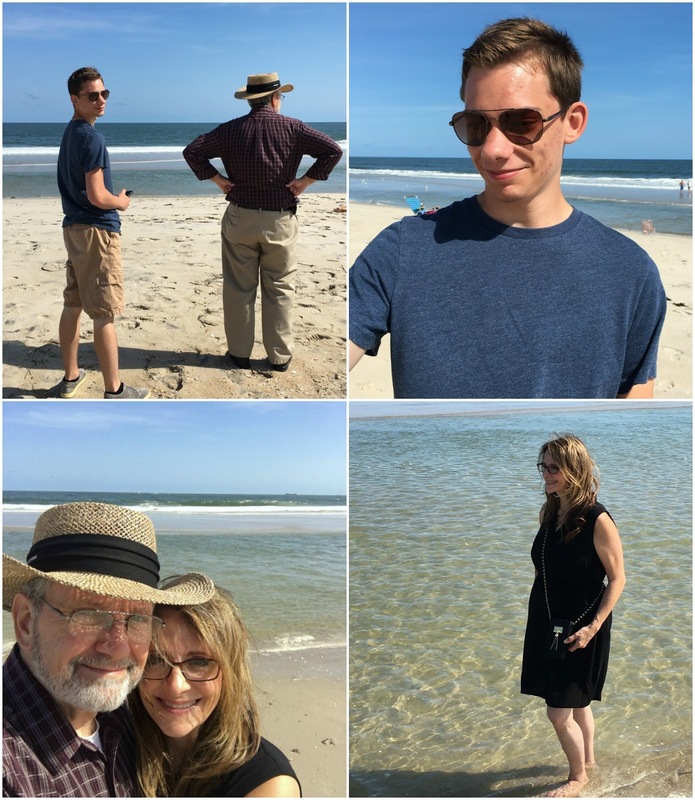 Saturday was a beautiful day and our grandson, Jared, went with John and I to LBI. After eating a packed lunch at a picnic table, watching the boats in the bay and scaling the rocks (John and Jared), we walked to Barnegat Lighthouse. I’ve walked up the 217 steps of Ol Barney before but that was prior to my hip surgery. After a little deliberation, I decided I was up to the challenge using my new hip. Of course, I held tightly to the hand rails and proceeded with great caution, stopping at different levels to rest briefly. Honestly, I used more arm strength than leg but I made it. I even splurged to purchase the one dollar certificate to prove my ascent. 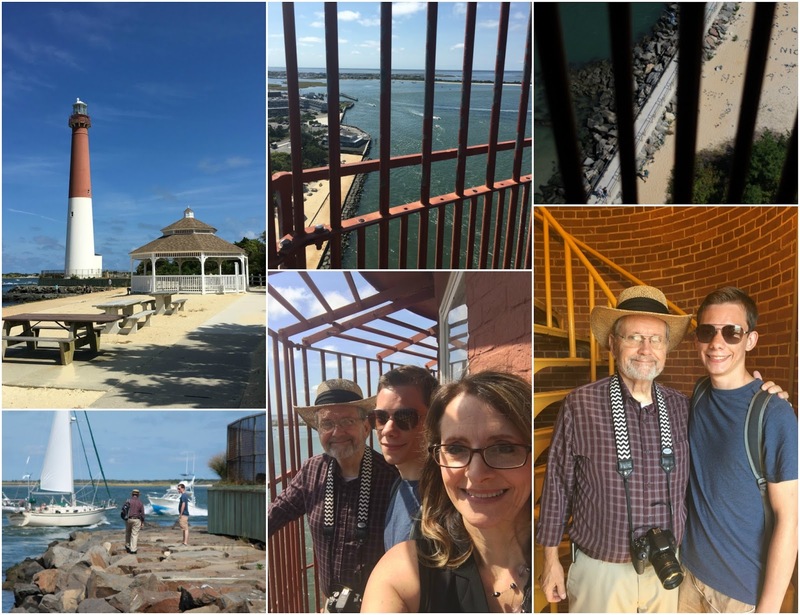 We have taken other grandchildren to this lovely state park but this was Jared’s first visit. The view from the top is quite exciting. After descending the lighthouse, we drove to a public beach on the south end of the island. One of us was more excited to go onto the beach than the other two. Can you guess who? Last week I had my 6-week post-op appointment with my surgeon. All restrictions are removed except bending too far with both arms to the side of the replacement and also running and jogging as the pounding of these activities are too harsh and will shorten the life of the prosthesis. I am still working on walking without limping but getting much better. And, I have a ways to go bending, squatting and other movements that I haven’t done all of my adult years. I am retraining muscles that worked a certain way for a long time. I think it is called muscle memory. 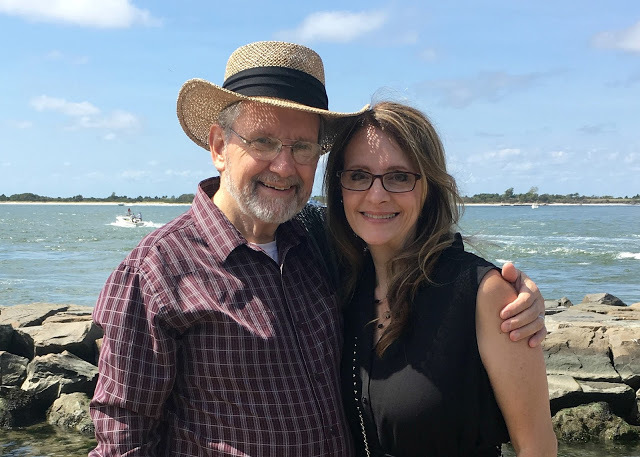 So, I would still appreciate your prayers for continued recovery. Tomato Jam – who knew? I have adding the ingredients to my shopping list. Glad you recovery is going well. 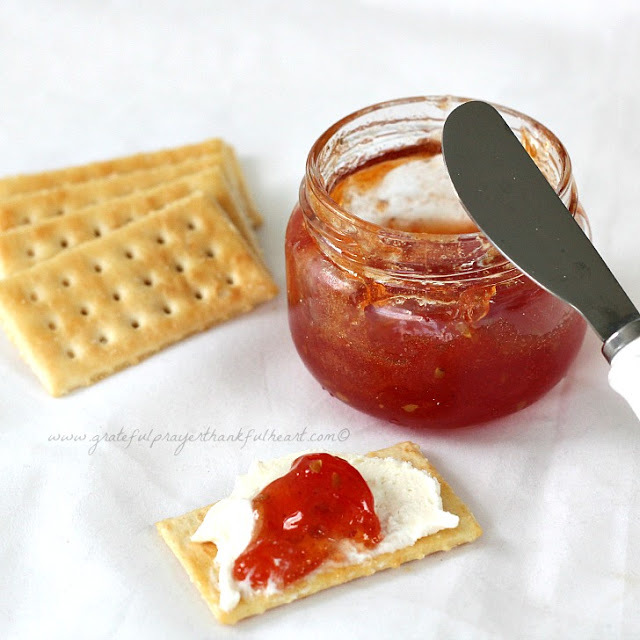 I've never heard of Tomato Jam and I do not eat tomatoes but that jam sure looks delicious! Can't believe you made it to the top of the lighthouse. Impressive! Happy weekend! Good job on your recovery – sounds like you will be even better than your old self soon! Can't wait to make the jam! Going to snag the recipe now. And are able to get out and enjoy yourself!